The years when mixing a record over w/ a new rap feature or a new beat was golden! Just ask Diddy or Jermaine Dupri! Bad Boy Ent. ran the charts as well as the airwaves but So So Def was right on their heels. 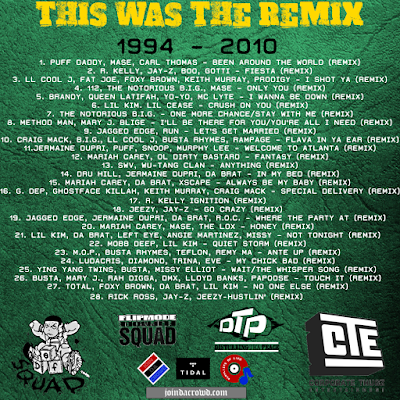 Here are 28 tracks inspired by the legacy of the remix! "I’ve always thought it was dope how they would make a part two of a song with new features and/or a different beat. 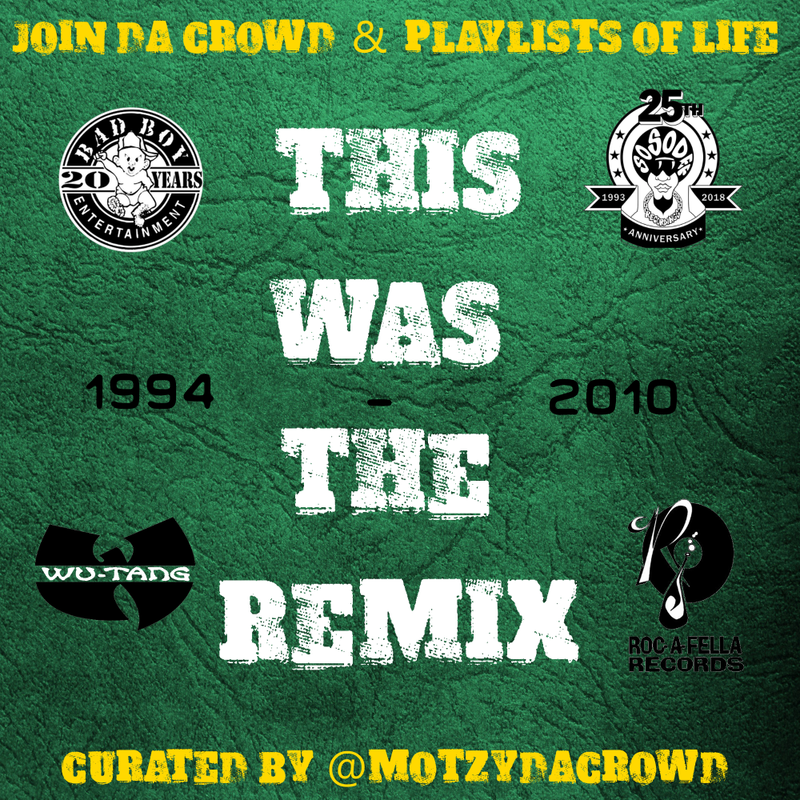 The 90’s and early 2000’s had some of the best remixed songs ever. Labels like Bad Boy and So So Def was like the soundtrack of my life at that time. People don’t even realize that Lil Kim was probably featured on more Remix’s than anybody during this time. 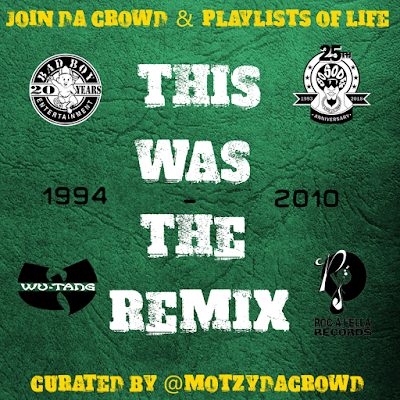 So salute to the Queen Bee and everybody else featured on this 28 track playlist. 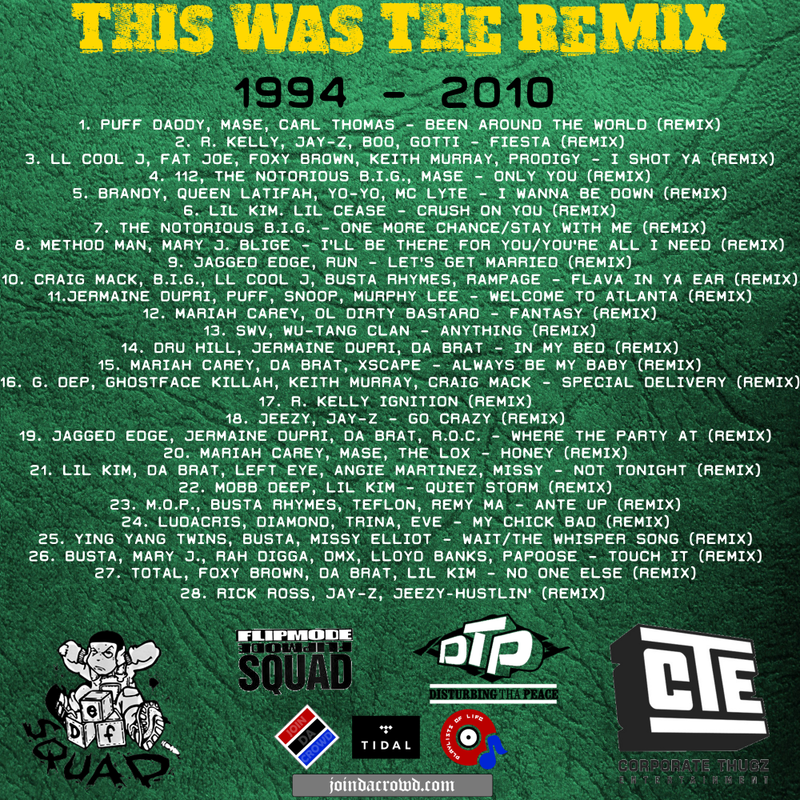 This Was The Remix. When the original song was just not enough. Enjoy!"